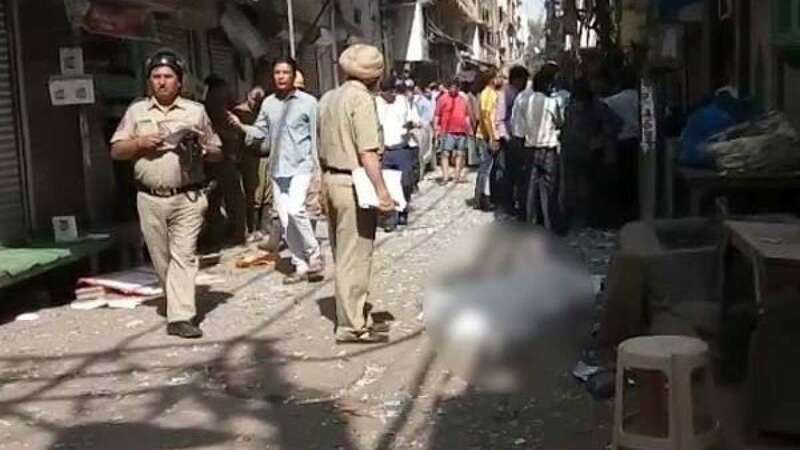 New Delhi : 1 person was killed and several others were injured in an explosion at Naya Bazar in Chandni Chowk, one of the oldest and busiest markets in Old Delhi. Cops have now released CCTV footage of the incident that shows a jute bag blew up on the road. A garbage picker was killed after he picked up jute bag which exploded at Naya Bazar area in Chandni Chowk. In the CCTV footage, people can be seen walking in the streets as the explosion rocked and left the street filled with smoke. Several windows were shattered as people were seen running in panic.